There's so much you can say about this work. Vivid characters, colours, and situations that practically leap off the screen into the theatre next to you. A wonderfully quirky, repeatedly startling story. Graceful low-key cinematography that turns slums and sideshows into an eerily beautiful netherworld, countless images that look like you could freeze them and hang them as inspirational totems for cults we have to hope don't exist. 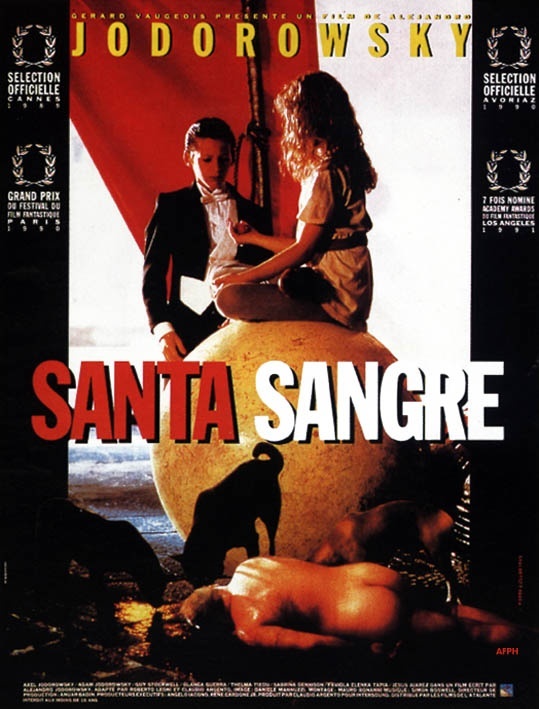 Jodorowsky paints with a heavy, vibrant brush, but it's the perfect tone for this primal-yet-humanizing tale.But I should post a warning. As far as I'm concerned, my first viewing of this film was one of the more worthwhile two hours or so I've ever spent in a theatre, and I think based on my experience that this sadly neglected wonder deserves every bit of word-of-mouth promotion it can get. But I'm betting it's not to everyone's taste.So this is my advice: if you found Storaro's green and red/jungle foliage and human remains canvasses in Apocalypse Now unsettlingly beautiful the first time you saw them, and wondered momentarily whether still prints were available for hanging before realizing what you were actually suggesting to yourself, here's a film for you. 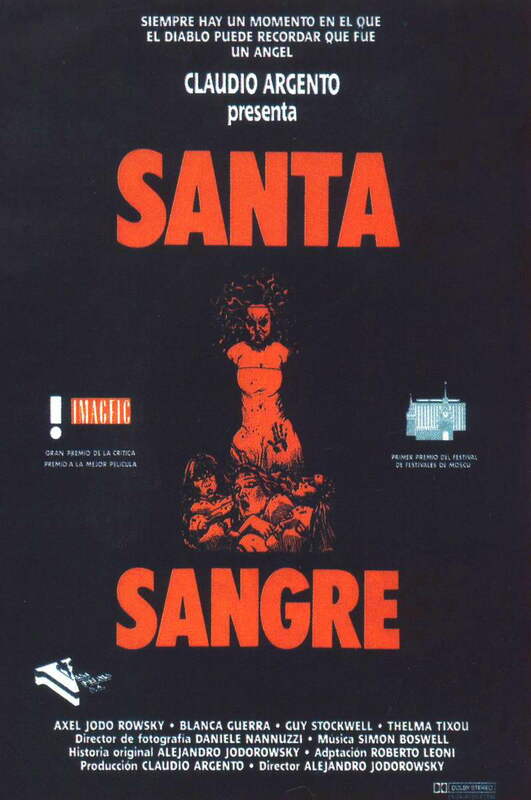 If you found Delicatessan's celebration of the paradoxical beauty hiding in human ugliness and stupidity a bit too sanitized for your taste, Santa Sangre's rather murkier depths await. You will love this work.If, on the other hand, you have no taste for painters who work best in human blood as opposed to oils, and/or don't appreciate a bloody carnality mixed in with your religious metaphor, you will quite probably hate it with a passion that exceeds my affection. And I don't really blame you or judge you for walking out early. It takes all kinds.Either way, fondly or with revulsion, you will remember it vividly, ten years later. I can say this confidently, as that's how long it was from the first time I saw this film to the day I wrote this review. Don't say I didn't warn you.